Landscaping projects are all about choices. Find plants and flowers that grow well in the climate zone you live in. Do you want plants that will grow and create privacy, or plants and flowers that will smell nice and bloom all year round? What about trees? What types of trees do you want, how big are they going to grow? The list of choices for landscaping projects goes on and on, and it can be overwhelming for both newer and long-time homeowners. People can sometimes take so much time making all of the landscaping decisions that when it comes time to pick between rock or mulch for their ground cover, they essentially flip a coin. We’re writing this post to help all of the home decorators and do-it-yourself weekend warriors out there stop flipping a coin when it comes to ground cover and start making the right choice for their next project. 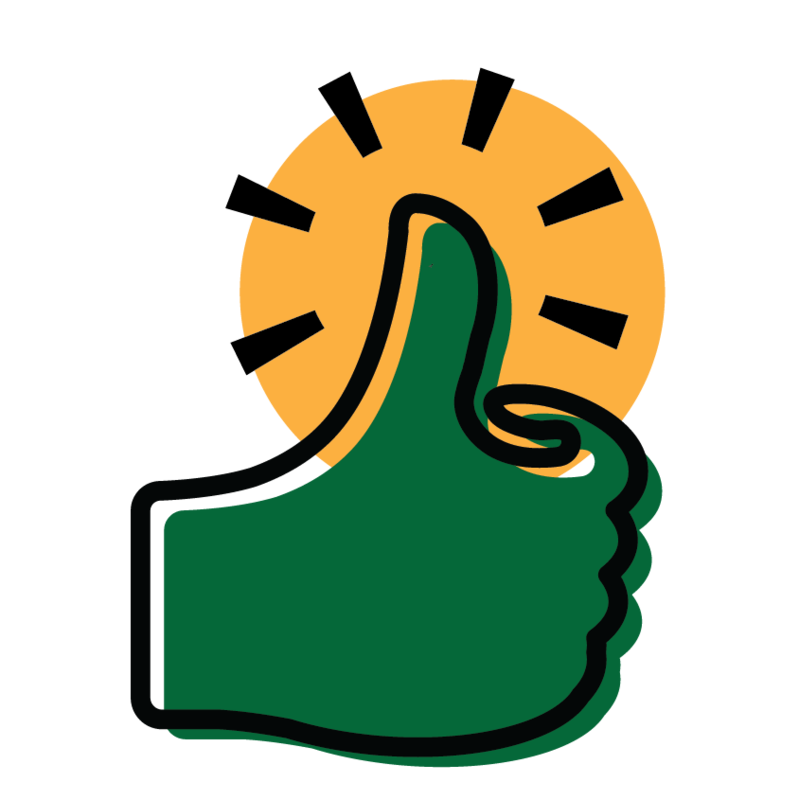 We certainly have our favorite here at Total Lawn Care, but this article isn’t about us, it’s about the pros and cons of each material, and making sure homeowners are asking the right questions and getting the right material for their needs. Rock won’t degrade over time like mulch will, and if your rocks get dirty or covered with grass clippings or leaves, a simple pass with a leaf blower will have them clean again and free of debris. will last 10 years or more. edging after a heavy rain. Rock is also less likely to blow around due to high winds or heavy storms. Have you ever accidently hit mulch with a string trimmer? It flies everywhere! Rock on the other hand, hardly even moves. To prevent water build up near your property, the ground should always slope away from the foundation line. 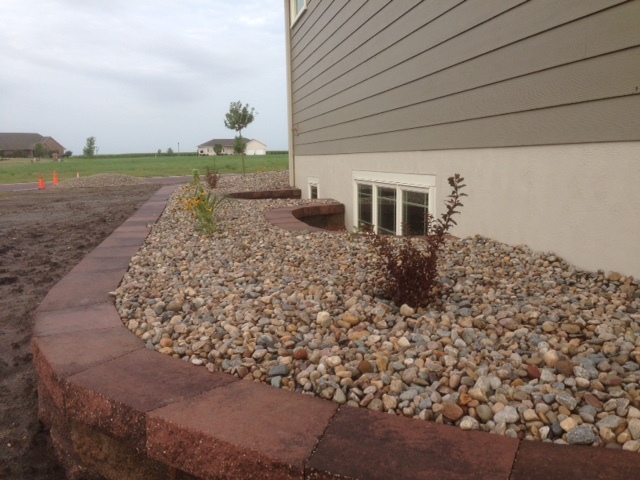 Rock trim around your property can act as an early warning sign if any grading issues develop over time. If you see any dips in your rock level, it could be an indicator that the soil underneath the rock has eroded or washed away. With all of these great reasons to put rock down in your landscaping beds, you might wonder why anyone would ever use anything else. Well, there are some cons to using rock. effort to fill in an area with rock compared to mulch. and moisture away from your home, it also makes it harder for new plants. If you use rock as ground cover in a flower bed or around new trees, it can actually take moisture away from the base of your plants. That means you have to water more often to keep your new growth alive and looking its best. Mix your ground cover. If you’re using rock with new plants, make sure you put a small ring of mulch around the new plant first. The extra moisture from the mulch will help fertilize the plant and keep the new roots from drying out, while also providing more room for the new plant to grow. There’s two main types of mulch available for purchase, many varieties and colors to pick from, but only two main types – bulk mulch and hardwood mulch. Bulk mulch is often made up of recycled wood products. While that may sound great at first, bulk mulch is commonly made from ground up pallets or discarded construction lumber. Unfortunately, this also means that you can find ground up bits of nails and screws hidden among your mulch. At Total Lawn Care, we always recommend buying a good hardwood mulch for landscaping projects. A decent hardwood mulch will both hold its color longer and begin decomposing later than a bulk mulch will. In addition to durability and aesthetics, there are some other great pros to using mulch. to cover and budget is an issue, mulch could be a great option for you.Rock won’t degrade over time like mulch will, and if your rocks get dirty or covered with grass clippings or leaves, a simple pass with a leaf blower will have them clean again and free of debris. Mulch is light, easy to move around, and application times are fairly quick. A large area of mulch can be laid out in a relatively small amount of time by either one person or a small team. Mulch comes in a range of colors. This means that you can periodically give your entire yard a facelift simply by changing up the color of your mulch every few years. Because mulch soaks up water and holds in moisture, it’s an obvious choice for flower beds, around the base of newly planted trees, or in any other area heavily packed with plants. While mulch certainly has some big points in its favor, it does have some drawbacks as well. While mulch is relatively easy to deal with, you’ll be dealing with it on a regular basis. Most homeowners do some sort of upkeep with their mulch between every year and every other year. While being light is a major pro during the application process, it’s also a con if you live in areas with high winds, heavy storms, or both. It’s very common to find bits of mulch outside of your flower beds after a big storm or if you accidentally get too close with a string trimmer. Over time, mulch will begin to compact down and eventually degrade. This leads to homeowners buying more mulch and starting the application phase all over again. Be careful not to apply too much mulch right up against your home. Over the course of a few years, mulch can compact and begin to push down the dirt near your foundation causing a negative grade and potential buildup of water at the foundation line. Coupled with the natural moisture retention properties of mulch, this can cause serious problems if it goes unnoticed. 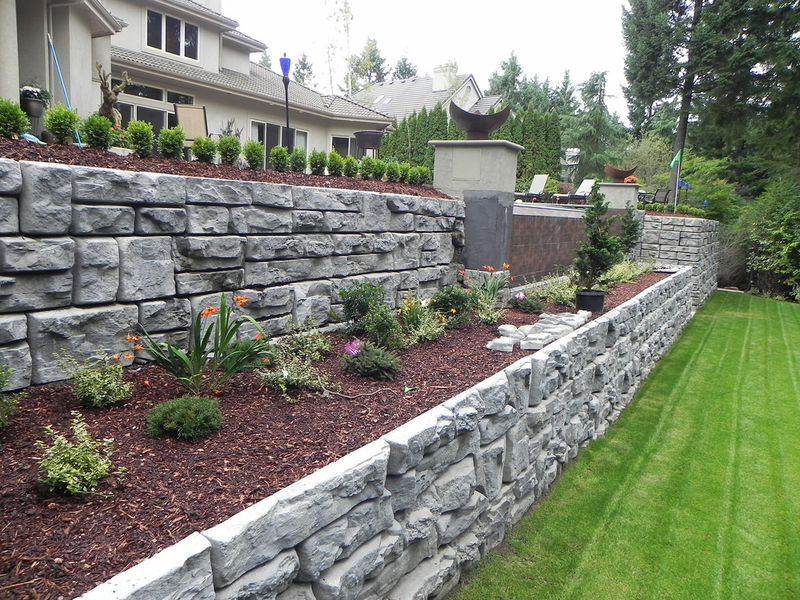 If you’re not sure which material to use for your next landscaping project or if you’re having problems choosing between rock and mulch, give us a call with your questions or to schedule a meeting with one of our team members.